﻿ HP PageWide XL 4100 Printer - Print-O-Stat, Inc.
2 Once image is selected, one-click printing when printing the entire file without any modifications to the print settings. Applicable to PDF, JPEG, TIFF, and HP-GL/2 files. HP PageWide XL PostScript/PDF Upgrade Kit required for HP PageWide XL 4100 series printers. 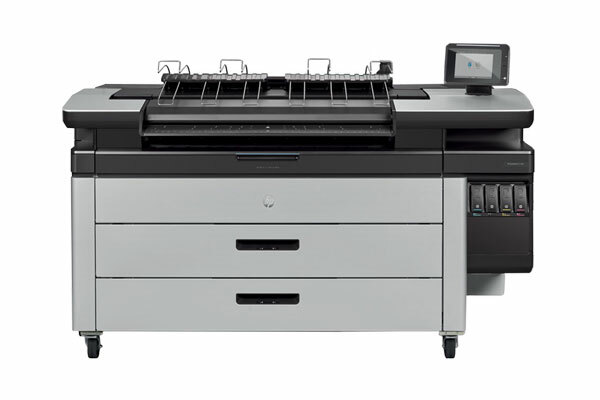 3 Multifunction capabilities are available on the HP PageWide XL 4100 Multifunction Printer only. 6 Compared to prints produced with HP 970/971/980 inks that are fade and moisture resistant per ISO 11798 Permanence and Durability Methods certification. For testing criteria, see hp.com/go/pagewidexlclaims.